A carcass tagging scheme has been in operation in England and Wales since January 2009. Any salmon and sea trout caught by means other than rod and line (i.e. by licensed net or trap) must be tagged with a uniquely numbered Environment Agency carcass tag. This must be attached immediately after capture and remain attached until the fish is processed. Details of the fish and the tag reference numbers must be recorded in an annual log-book and returned to the Environment Agency at the end of the year. Carcass tagging has been considered both as a quality control measure and as a means to minimise the possibility of illegally caught fish reaching markets or dealers. In combination with the ban on sale of rod caught fish across the UK, any untagged fish would be made unmarketable and clearly identifiable as illegally taken. Why introduce a carcass tagging scheme in Scotland? In the absence of a mandatory carcass tagging system in Scotland, illegally caught fish, originating from both Scotland and England are currently reaching the market. (a) Improve voluntary compliance with the existing legislative framework including e.g. the ban on the sale of rod caught fish; the statutory requirement on all fishery owners to make accurate returns of all salmon and sea trout caught in the fisheries – nets and rod and line. (b) Reinforce the existing offence provisions and complement the introduction in England & Wales in 2009 of the ban on the sale of rod caught fish and carcass tagging of net caught fish. 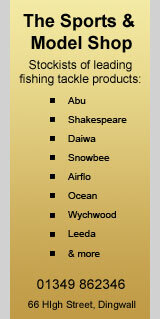 (c) Promote conservation of the stock by easier identification of potentially illegal fish. The Association of Salmon Fishery Boards (ASFB) is the representative body for Scotland's 41 District Salmon Fishery Boards (DSFBs), which have a statutory responsibility to protect and improve salmon and sea trout fisheries. ASFB policy is that a compulsory carcass tagging scheme, using uniquely numbered tags, should be introduced immediately in order to bring Scotland into line with the rest of the UK and the Republic of Ireland. This would aid the enforcement of the existing ban on the sale of salmon and sea trout caught by rod and line. The fundamental aspects of this scheme would be the same as the EA system. The DSFBs, with the support of ASFB, are actively seeking the introduction of a mandatory carcass tagging scheme for net-caught salmon via salmon conservation regulations to be in place for the 2013 netting season. In addition, in response to the Scottish Government’s Aquaculture and Fisheries Bill consultation, they have recommended the implementation of a carcass tagging scheme for rod-caught salmon. The Novar Fishings and Alness Angling Club are participating in a trial, run by the CFFB, for carcass tagging of salmon caught by rod & line. This trial is not intended to restrict our current salmon conservation policy, but it potentially offer a means of enforcing conservation policies and catch limits across all fisheries in the region. If implemented across all UK fisheries, it would provide significant defence against the illegal sale of rod-caught salmon, and salmon caught by illegal means.